The fate of the Tampa Bay Lightning proves that there is a curse that follows teams with historic regular-season performances. The Lightning tied an NHL record with 62 wins in the regular season. Then they went out and got swept in the first round of the Stanley Cup Playoffs by the Columbus Blue Jackets, becoming the second President’s Trophy winner to do that. Moreover, as this ESPN graphic proves, teams that have had historic regular seasons often falter in the postseason. There is some logic to this. Everything has to go right for a team to set a record in a regular season for the most wins. On top of that, the team could be so focused on winning in the regular season that it feels a measure of satisfaction for what it has accomplished when it’s over. Contrarily, teams that didn’t achieve as much might be hungrier when the postseason comes around. Still, seeing the Lightning, with the three 40-goal scorers in their lineup, get swept, is nothing short of shocking. Alex Ovechkin wasn’t looking to get into a fight during Game 3 of the Carolina Hurricanes-Washington Capitals first round playoff series on Monday night, but once he engaged, he looked to end it quickly. Carolina’s Andrei Svechnikov kept dogging Ovechkin, trying to bait him into a fight during the first period. Ovechkin seemed to be declining at first but then dropped gloves. If the sight of Ovechkin fighting seemed odd to you, it should. That was only his fourth career fight, according to HockeyFights.com. His record is now 1-3 with this one knockout. The Sharks will be without center Joe Thornton for Game Four of their first-round series against Vegas after the Department of Player Safety announced (video link) that he has been given a one-game suspension for an illegal check to the head on Golden Knights forward Tomas Nosek. I honestly thought I barely touched him. He just came right back; it was just one of those plays that it is what it is. I think my son hits me like that six times a day, it’s just a weird position to put himself in. That’s all. The 2019 Stanley Cup playoffs are set to begin, so settle in for two months of unpredictable chaos, madness and excitement. Some of the big stories worth watching include the Washington Capitals‘ pursuit of a repeat, Tampa Bay’s quest to finally get over the hump and Sergei Bobrovsky’s attempt to solve his postseason demons. 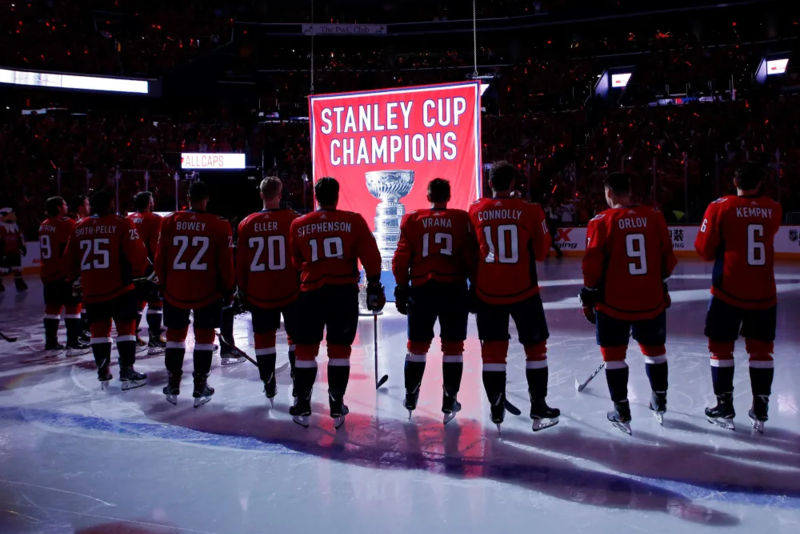 All of these are among our 20 biggest storylines to watch in the 2019 Stanley Cup playoffs. Winning the Stanley Cup once is incredibly difficult. Winning it two years in a row is even harder. 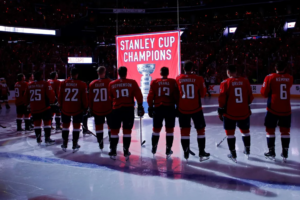 It is something that has been done only three times since 1990, and the Capitals are going to try to add to that list. They still have all of the superstars that made their 2018 championship possible and made some smart additions at the trade deadline to bring in Carl Hagelin and Nick Jensen to sure up the defense. They have all of the ingredients at their disposal to do it. Will the Lightning finish it this season? 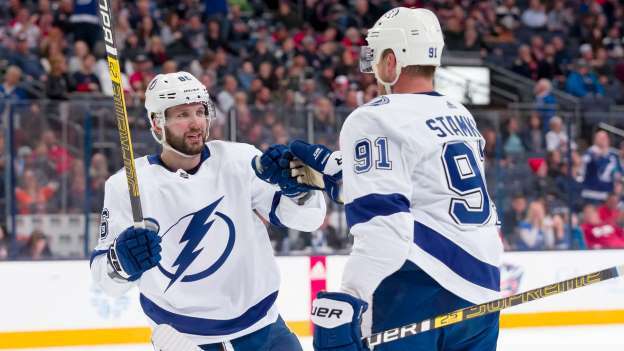 After experiencing repeated playoff heartbreak over the past four years, the Lightning are back and better than ever this season. They completed one of the best regular seasons in NHL history, and they enter the playoffs as the clear favorites to win the Stanley Cup. If they do not reach at least the Stanley Cup Final with this roster, it will be their biggest postseason disappointment yet. So much to watch with the Golden Knights. Will they have their over-the-top pregame performances? Will they be able to make another run to the Stanley Cup Final? Can they actually win it all in Year 2? You have to like their chances not only because of the strength of their roster but also because their path through the Pacific Division bracket features two teams with significant question marks in goal. That is a good position to have an advantage in this time of year. The only thing Thornton’s Hall of Fame career is missing is his name on the Stanley Cup, and this might be his last best shot to do it. 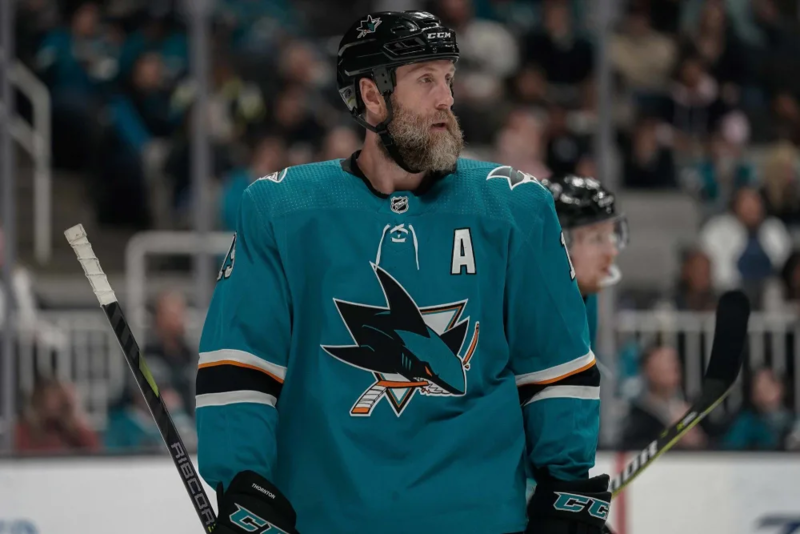 He is not getting any younger, it is not known how much longer he is going to play in the NHL, and the San Jose Sharks went all in on this season to try to get a championship. They will need a healthy Erik Karlsson to get there and for Martin Jones to get his act together in net after a miserable regular season. Will the Stanley Cup return to Canada? 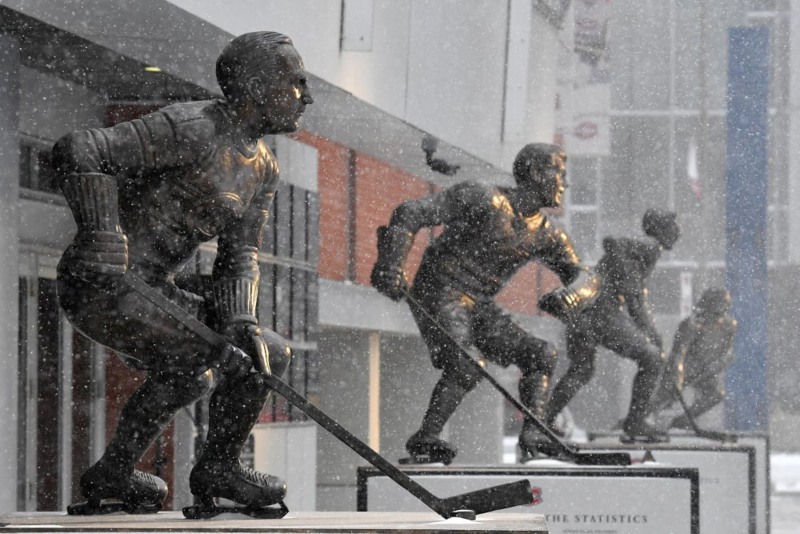 A Canadian-0based NHL team has not won the Stanley Cup since the Montreal Canadiens did so all the way back in 1993. 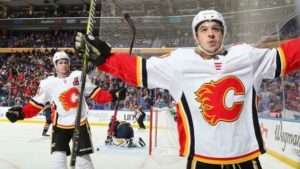 There are three Canadian teams that have a chance to do it this season with Calgary, Toronto and Winnipeg all punching their tickets to the playoffs. The Flames, having finished the year with the best record in the Western Conference, seem to be the team with the best chance to do it, but they have major questions in goal. The Maple Leafs have to get through their arch nemesis in Boston, while the Jets have been trending in the wrong direction down the stretch. 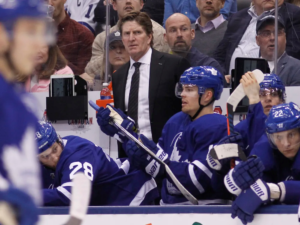 Can the Maple Leafs get out of the first round? Nobody expected the New York Islanders to be here. After missing the playoffs in each of the past two seasons and then losing John Tavares in free agency, expectations were as low as humanly possible for them at the start of the year. But they defied the odds all year and put together one of the most incredible one-year turnarounds in recent NHL history, going from the worst defensive team in the league a year ago to the best this season. How long can their goalies continue their great play and will they find enough offense? Those going to be the big questions for them. It’s playoff season once again. Before you fill out your postseason bracket, we break down one key matchup across five first-round series that could make or break a team in their pursuit of the Stanley Cup. It’s no secret – for the Leafs to trump the Bruins, they need to find an answer for the three-headed monster of David Pastrnak, Patrice Bergeron, and Brad Marchand. The Leafs were tormented by the Bruins’ top line in their seven-game series last postseason. Bergeron and Co. controlled possession, posting a Corsi rating of 64.90, and dominated Toronto in high-danger scoring chances at five-on-five, 49-26. An encouraging note for the Leafs is that the Corsi number dropped to 54.84 when matched with Auston Matthews and shot up to 75 when going against Tomas Plekanec – suggesting the trio dominated much of the play against a veteran player who is no longer in the league. Looking at the regular season, both Matthews and Bergeron were out of the lineup for two of the teams’ meetings this season, so we’ll have to see how the coaches choose to deploy their top talent with the pair back in the mix. 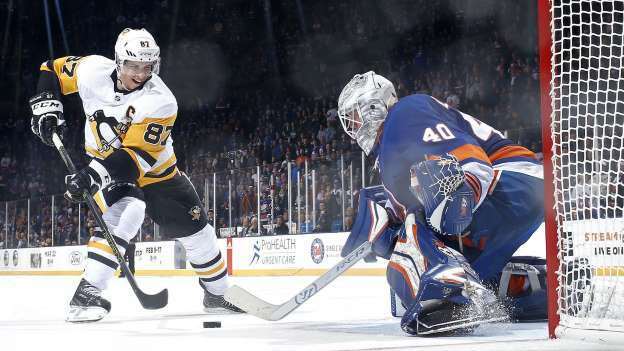 The Islanders claiming home-ice advantage was key, but perhaps their biggest edge sits between the pipes. Robin Lehner and Thomas Greiss combined to capture the William M. Jennings Trophy this season, and their dominant play must continue for the team to be successful against the Penguins’ offensive arsenal. Though neither netminder has a ton of playoff experience, the job will likely be Lehner’s to lose. Since returning from injury on March 19, the 27-year-old has posted a 5-2 record with a .942 save percentage. Barry Trotz’s club allowed a league-low 191 goals on the campaign and posted a record of 38-2-2 when scoring at least three times in a game. Led by Sidney Crosby and Evgeni Malkin, the Penguins boasted the fifth-best offense this year and rostered four players with 70-plus points. 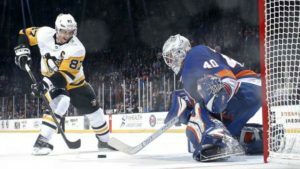 Pittsburgh mustered 13 goals in four games against the Islanders during the regular season, with Crosby and Malkin combining for eight points. 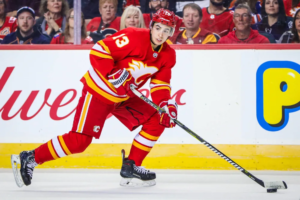 Can ‘Johnny Hockey’ outperform MacKinnon? Calgary’s Gaudreau and Colorado’s MacKinnon each notched a career-high 99 points this season. Though they play different positions up front, the two will be a joy to watch compete as they best embody the speed and skill that will be on display in this series. The All-Stars have no problem facing the pressure of playoff hockey, either, as MacKinnon has tallied 16 points in 13 career contests, with Gaudreau posting 11 points in 15. Both men know how to deliver when it matters most, too. 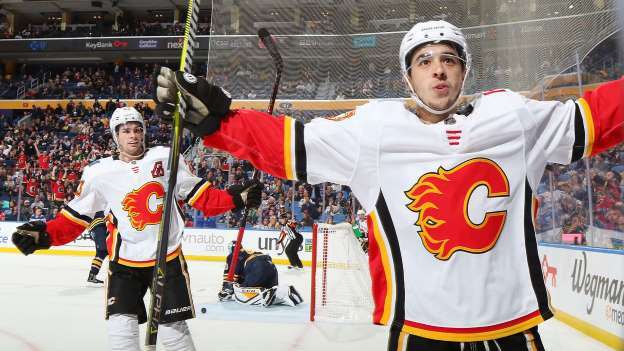 “Johnny Hockey” racked up 39 points and 17 goals in the third period or overtime this season, while MacKinnon contributed 37 points and 15 goals in those clutch moments. When the game is on the line, look for one of these two studs to follow through. Special teams will heavily influence this matchup between one of the greatest regular-season teams ever and a franchise looking for its first playoff series victory. The Lightning’s power play was lethal this season, clicking at a league-leading rate of 28.2 percent. The Blue Jackets, on the other hand, deploy the NHL’s top penalty kill. The Lightning and Blue Jackets posted similar possession numbers with Corsi ratings of 51.59 and 50.21, respectively. The more even-strength hockey Columbus can play, the better its chances of pulling out the upset – in the regular season, the Lightning erupted for six power-play goals on 11 attempts in their three victories over the Jackets this year. This Central Division clash is about as even as any playoff series on the slate. The Jets won 47 regular-season games and sported a goal differential of plus-28, while the Blues won 45 contests and were plus-24. Both teams finished with 99 points, but what may ultimately separate the two in this series is the play in the crease. 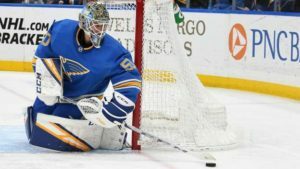 The Blues netminder was one of the best stories of the season. 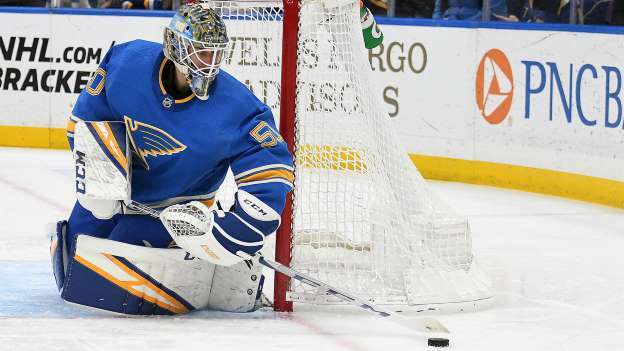 In 32 appearances, Binnington posted a .927 save percentage and an unbelievable 1.89 goals-against average en route to setting a franchise record for wins by a rookie goaltender with 24. The 25-year-old has yet to face the Jets this season, perhaps to the Blues’ advantage. Hellebuyck was a finalist for the Vezina Trophy last season but will need to regain his form in a hurry after taking a step backward this year. The 25-year-old won 10 fewer games and saw his goals against average spike from 2.36 to 2.90. With two netminders trending in opposite directions, goaltending will be the deciding factor in this series. Panthers goaltender Roberto Luongo has not yet made a decision on his plans beyond this season. He plans to sit down with the team at the end of the year to discuss his future. The veteran has battled through another injury-plagued season while posting the lowest save percentage of his career, playing in just 38 games as a result. Luongo, in the past, has indicated that he plans to play out the entirety of his contract, which runs for three more years after this one. However, the soon-to-be 40-year-old is set to earn a total of $3.618M over the remainder of his deal which is significantly lower than the $5.33M AAV of the deal. Many expect Florida to be aggressive in free agency this summer and it has been expected for a while that they will take a run at Blue Jackets netminder Sergei Bobrovsky. If they were to bring him in, they wouldn’t be able to afford Luongo’s cap hit as their backup, nor would they likely keep James Reimer ($3.4M per year through 2020-21) around as well. Instead, youngster Samuel Montembeault, who is expected to get the bulk of the playing time down the stretch, could wind up as a regular on the roster next season. Further complicating the decision for Luongo and the Panthers is the potential for salary cap recapture as they, along with Vancouver, would be on the hook for some. This was put in place to penalize long-term contracts that were heavily frontloaded and tacked on cheap years at the end for the purposes of artificially lowering the AAV. James Mirtle of The Athletic (Twitter link) broke down the approximate numbers several years ago and if Luongo was to retire following this season, Florida would be on the hook for a cap hit of $1.287M for three years while the Canucks would carry a $2.84M penalty for that same time. Because of Luongo’s growing injury history, it’s also possible that the Panthers will make a case that he should just be placed on LTIR which would allow them to exceed the Upper Limit for next season without incurring any recapture penalties. We’ve seen several players with similar contracts land on LTIR in recent seasons. However, since Luongo has been able to play in 38 games (and counting) this season, it’s not a guarantee that they will be able to make the case that he won’t be able to play anymore. Zdeno Chara will be sticking around with the Boston Bruins for a little while longer. The Bruins announced that they have inked their captain to a one-year contract extension. The deal will carry a base salary of $2M with the opportunity to earn another $1.75M in performance bonuses. Pierre LeBrun of TSN and The Athletic reports that Chara will receive $1.25M for playing in 10 games, $250K if the Bruins make the playoffs and $250K if they win the Stanley Cup in 2020. The 42-year-old is currently in his 21st NHL season and the 11th with Boston. While he is no longer the high-end top pairing anchor he once was, he has still proved himself to be a valuable member of their back end. This season, Chara has played in 55 games, collecting just 11 points but is still averaging nearly 21 minutes a night, third-most among Bruins rearguards. In his career, Chara has played in 1,478 games between the Islanders, Senators and Bruins, which ranks fourth among all active players. His next goal will be the 200th of his career and will make him just the 22nd defenseman all-time to reach that plateau. The deal actually represents a sizable pay cut from his current contract, which carries a $5M base salary with the same bonus structure as this new pact. While his offense has tailed off, this type of contract is certainly fair value for a mid-tier defender, which is probably the best role for Chara at this stage of his career. With the contract, the Bruins now have five of their top seven defenders locked up for next season with a total cap hit of $13.9M guaranteed (not including the likely $1.25M for Chara playing in 10 games or Dennis Seidenberg’s buyout cost of $1.167M). That amount will go up considerably this summer with youngsters Charlie McAvoy and Brandon Carlo slated to be restricted free agents. Even so, Boston should be able to bring back its entire defense corps for next season, one that has been quite effective as its 186 goals allowed is the third fewest in the NHL. 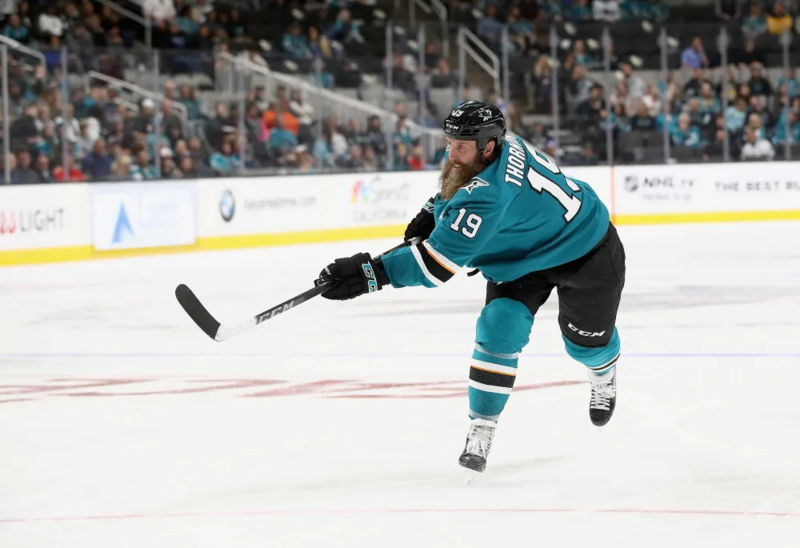 Joe Thornton might be the most underappreciated superstar in the history of the league. Instead of being celebrated for his ability, production and overall dominance, he has spent most of his career listening to criticisms about playoff shortcomings (that were not his fault) and not yet winning a championship (also not his fault; but this year’s San Jose Sharks team seems to have an outstanding chance). He is the type of player who 10 or 20 years after he retires, the hockey world will look back and wonder why he was not held in higher regard during his playing days. He might be one of the top five playmakers in the history of the sport and has a defensive game to match. He has never been a great goal-scorer, but he is good enough, and his playmaking more than makes up for whatever shortcomings he has when it came to scoring goals. Before they relocated and became the Colorado Avalanche, the Quebec Nordiques had a run of high-draft picks in the mid to late 1980s who would help build the foundation of a two-time Stanley Cup winner (in Colorado). The first of those to be put in place was their 1987 first-round pick, No. 15 overall, Joe Sakic. 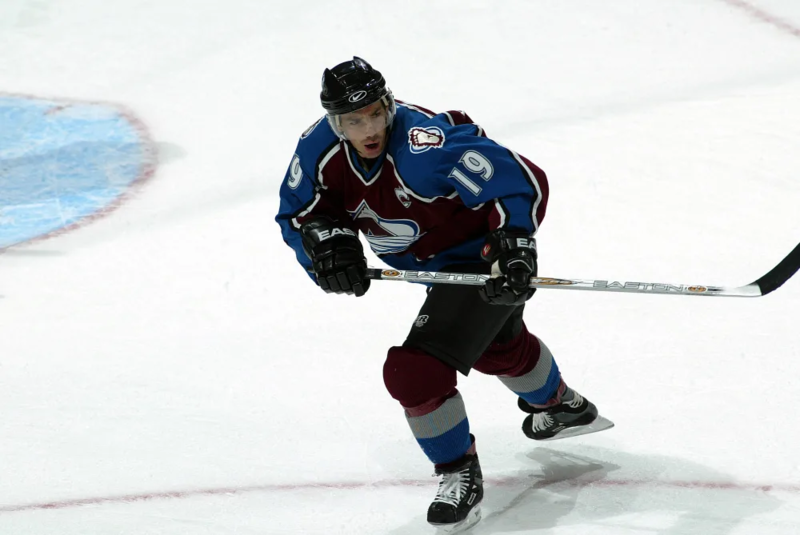 Sakic would go on to be the centerpiece of the franchise for the better part of the next two decades as one of the league’s best two-way centers. 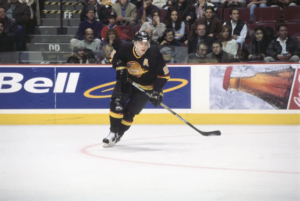 He finished his career in the top 16 in goals, assists, total points, and he collected several pieces of hardware, including a pair of Stanley Cup rings, an MVP award, a Lester B. Pearson Award (best player as voted on by the players) and a Conn Smythe Trophy. Ron Francis was never the most dominant player in hockey, but there is a lot to be said for sustained excellence over two decades in the world’s best league. When all is said and done, Francis is in the top five all time in assists, points and games played and was an exceptional two-way center and playmaker and a key cog for a two-time Stanley Cup winner in Pittsburgh. Like Eric Lindros, this isn’t about career totals or championships; this is about playing the game at the highest level and dominating in a way few others have. Pavel Bure was a total game-changer when he arrived in Vancouver in the early 1990s and spent a decade as the most dangerous goal scorer in the league. With better health and a more offensive friendly era, who knows what he would have been capable of. Even with all of that, he was still a four-time goal-scoring champion who twice topped the 60-goal mark until his knees gave out. 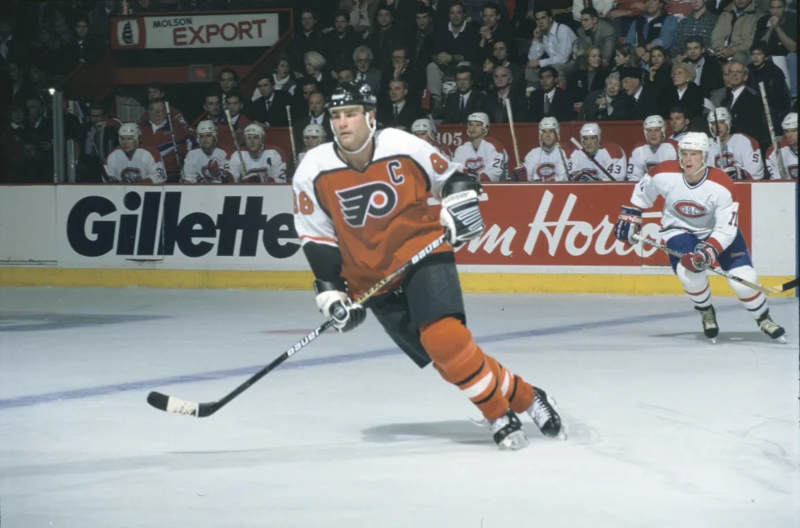 Maybe a controversial pick for the top 20, but Eric Lindros was a force unlike anything anyone had ever seen when he entered the NHL. 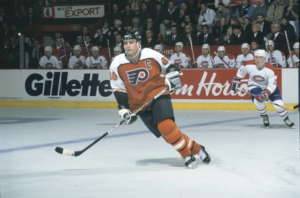 An unmatched combination of size, skill, speed, strength and determination, Lindros was an astonishingly dominant player from the moment he arrived in the league. The only thing that slowed him down and kept him from reaching his peak potential was concussions. Even so, he still did enough to be considered one of the all-time greats. 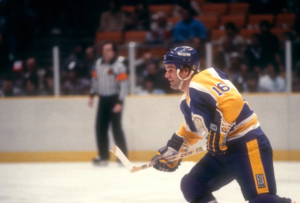 Marcel Dionne’s career was defined by three things: longevity, productivity and never being fortunate enough to play on a championship-winning team. He is one of the most productive and prolific offensive players in league history, but because he never played on a team that was good enough to get even remotely close to a Stanley Cup he is mostly forgotten. How much different would his career look today with even one championship on his resume? How much better would his reputation be? Significantly better, for sure. By far the most dangerous goal scorer of the 1930s, Charlie Conacher finished as the NHL’s leading goal scorer five different times in his career, and for the first six years of his career he was a point-per-game player. That level of production was almost unheard of in the early 1930s, and as of the 1936 season he was one of just four players in league history at that time to average such a pace. Among his peers at the time, there was quite simply no one close to him. 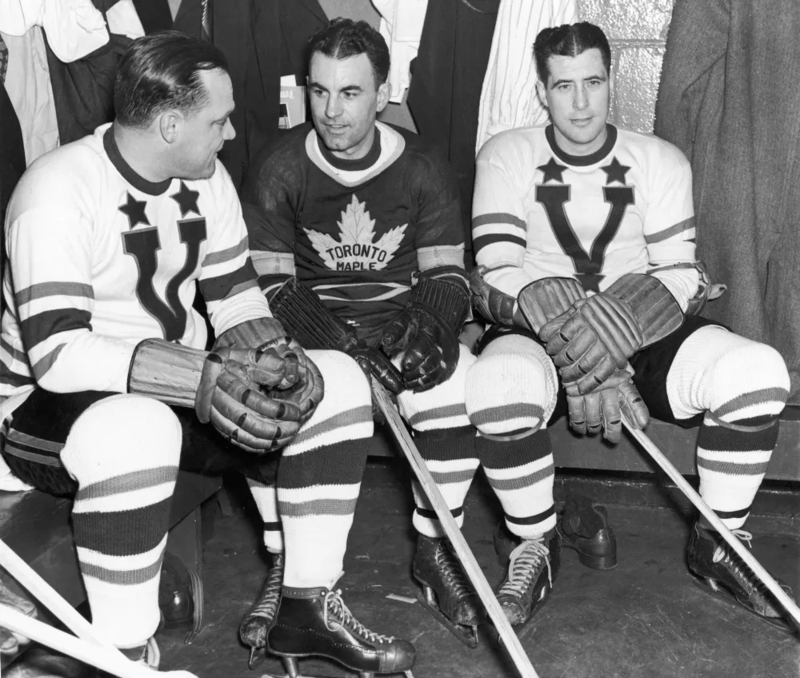 We are going way back in time for this one, but Howie Morenz was one of the NHL’s first superstars, playing in the 1920s and winning three MVP awards throughout his career. During his first 10 years in the NHL, he scored 41 more goals than any other player in the league and was one of only two players in that era to top the 200-goal mark, between 1923 and 1933. In a lot of ways the 2019 NHL trade deadline was a predictable one. The Ottawa Senators sold off their few remaining good players. The Nashville Predators were heavy buyers. 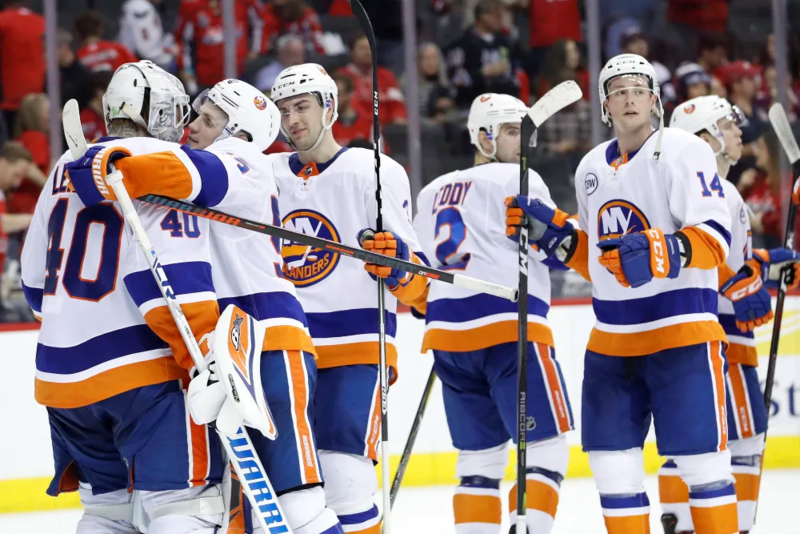 Teams like the Calgary Flames and New York Islanders that appear to be ahead of schedule did not mess with what has worked for them so far and decided to stay the course and see where their current rosters can take them. There also were not really any major shockers, outside of maybe Mikael Granlund being traded by Minnesota, in terms of the players who did get moved. But there were still a few surprises thrown in. The Columbus Blue Jackets went wild and mortgaged their short-term future for the hope of even shorter-term success, the San Jose Sharks doubled down on their confidence in Martin Jones, the Vegas Golden Knights went after the big fish again and the Boston Bruins and Washington Capitals made some minor tweaks to their rosters. We examine all of that and more with 10 thoughts and observations after the NHL trade deadline. Keeping Artemi Panarin and Sergei Bobrovsky was a pretty good indication that the Columbus Blue Jackets were willing to see what they could do this season instead of being resigned to the fact they will lose both over the summer, and thus trading them before the deadline. But then they doubled down on that by being the biggest buyers at the deadline by giving up draft picks and prospects for rentals Matt Duchene, Ryan Dzingel, Adam McQuaid and Keith Kinkaid. That leaves the Blue Jackets with six unrestricted free agents after this season (including Panarin, Bobrovsky, Duchene and Dzingel) and only two draft picks in the 2019 class: a third-rounder and a seventh-rounder. That is the definition of “all-in.” The wild thing about this is that they are not even a lock to make the playoffs. This could all go south very quickly if they do not secure one of the top eight seeds in the Eastern Conference. The San Jose Sharks made themselves better at the trade deadline by getting Gustav Nyquist from the Detroit Red Wings, making an already deep team that much stronger. They did not, however, address the biggest question mark facing them: goaltending. The tag-team duo of Martin Jones and Aaron Dell has not played up to a championship level this season and that could prove to be the team’s ultimate undoing in the playoffs. Jones has never been one to steal games for the Sharks, but he has always been, at worst, a league-average to slightly above-league-average starter. If he can return to that form and play at that level, the Sharks will be a formidable team in the playoffs. If he does not, it could derail a potential championship season. The San Jose Sharks added Nyquist. The Vegas Golden Knights added Mark Stone. The Nashville Predators added Mikael Granlund and Wayne Simmonds. The Winnipeg Jets added Kevin Hayes. All of the top contenders in the Western Conference added a significant player. The Calgary Flames? Added Oscar Fantenberg. A depth defender. No insurance in goal. No additional depth up front. They are riding into the playoffs with the team that has gotten them to this point in the season. Sometimes that is a good thing. 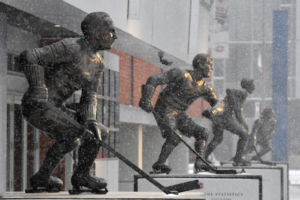 It is a few years overdue, but the Detroit Red Wings have finally started to rebuild their aging, expensive, declining roster. They have assembled a ton of draft picks and have at least set themselves up for a chance to restock the cupboards. But why didn’t they do more? Trading Nyquist was a necessary move, given his pending status as a UFA, but was there really no market for Jimmy Howard, Niklas Kronwall, Thomas Vanek or any other veteran on the team? It just seems like there was a chance here to move more players and get even more draft picks for the future. David Poile has assembled a powerhouse team in Nashville and somehow still kept his team well under the league’s salary cap. He’s also scored some of the biggest trades in the NHL over the past few years acquiring P.K. Subban, Filip Forsberg, Ryan Johansen, and Kyle Turris as part of blockbuster deals. He added to that at the trade deadline by pulling a stunner when he sent Kevin Fiala to the Minnesota Wild for Granlund and then acquiring Simmonds from the Philadelphia Flyers. Oh, and don’t forget about that pre-deadline deal to get Brian Boyle from the New Jersey Devils. That is what going all in looks like for a Stanley Cup contender, and, amazingly, his team is still in a great position under the salary cap in future seasons. A lot of times when GM’s swing for the fences on big trades, they start to eventually come up empty. That has yet to happen for Poile, who just keeps hitting home runs. Even though they were in the Stanley Cup Final a year ago, it is still remarkable to see the Vegas Golden Knights, in Year 2 of their existence, going after the big-ticket players. They went all in trying to get Erik Karlsson. When that failed they traded for Max Pacioretty and signed Paul Stastny. Now they pulled off one of the biggest scores of the deadline in getting Stone from the Ottawa Senators, then agreed to a new contract. 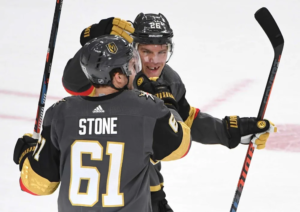 Stone is a star, a true top-line winger, and a player who can make a difference for an already strong team that is a contender. He is still in the prime of his career, making this a huge score for both the short term and long term. 7. Did Boston do enough? The Boston Bruins are an outstanding team and a sneaky contender in the Eastern Conference, getting lost in the shadow of Tampa Bay and Toronto. But the top half of their lineup is as good as anybody’s in the league, and they have two goalies playing at an extremely high level in Tuukka Rask and Jaroslav Halak. Their big question has been depth, as there has been little offensive production after Patrice Bergeron, Brad Marchand, David Pastrnak, David Krejci, Charlie McAvoy and Torey Krug (when they are healthy). They attempted to address that by acquiring Charlie Coyle and Marcus Johansson. They are solid additions, and Johansson has been especially hot lately now that he is healthy. 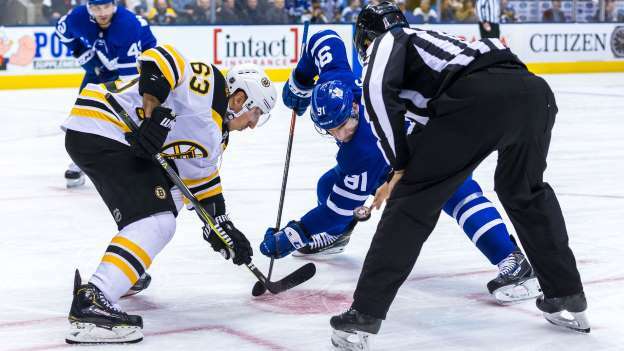 But will they be enough to get the Bruins through what will almost certainly be a daunting playoff run in the Atlantic Division that will probably include both the Maple Leafs and Lightning? I want to thank Guy for his three years of service. He is a good person and has been an excellent representative of the Senators. At this point, however, we need a different set of coaching and leadership skills to guide our team through this rebuild. 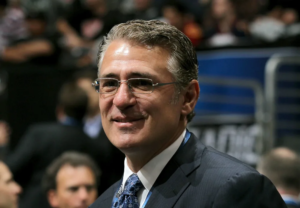 In the interim, Marc will bring a different perspective along with a wealth of head coaching experience. This move comes almost immediately after Dorion told Bruce Garrioch of Postmedia that the team would wait until the end of the season to evaluate Boucher’s future. Apparently Senators management changed its mind and made the move now to ensure different habits would be instilled over the last few weeks of the season. To that end, former Senators player Chris Kelly has been added to the coaching staff. Boucher’s tenure in Ottawa comes to an end a few weeks before his three-year contract expired, and he’ll finish with a 94-108-26 record. 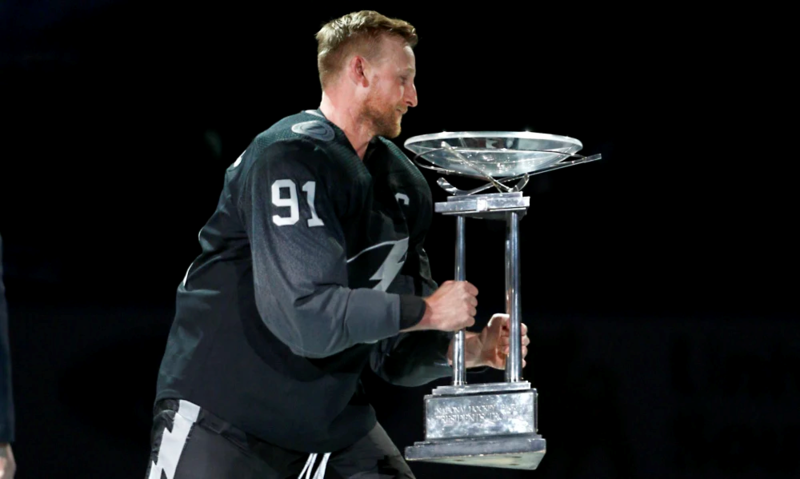 His time in Ottawa went similar to his previous job in Tampa Bay, where he led the Lightning to an outstanding first season before struggling in years two and three. The Senators went 44-28-10 in 2016-17 before almost making it to the Stanley Cup Final but fell apart last season and have been a disaster this year. The Sens announced their coaching search and explained what they are looking for in their next bench boss, with development and growth listed at the very top. Dorion admitted that Crawford would be considered for the full-time job, though it sounds more like the team is looking outside of the organization for a new head coach. Crawford of course has plenty of experience in the role, previously coaching the Quebec Nordiques, Vancouver Canucks, Los Angeles Kings and Dallas Stars, while also taking the Colorado Avalanche all the way to a Stanley Cup championship in 1996.